You have a Canon G2000 printer and one day it doesn’t work at all and it shows you error called Support Code: 5B00 and that means you can use your printer later, the green lighter( power button) and the orange lighter is continuously flickering about 7 times when you start the printer. You want to bring the printer to the store for repairing but you want to know more about this error. Oh how lucky you are! You can fix this error yourself without high expense and time-consuming. This error is also called Waste Ink Counter Overflow or Canon G2000 error printer with the lighter flashing two times. – The expression of the Canon G2000 printer when this error occurs. 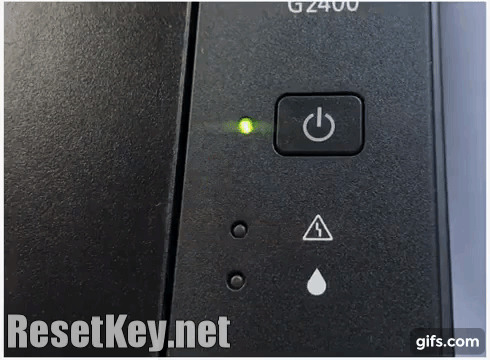 This part helps you to determine exactly the error of your printer so you can reset Canon G2000 printer without confusion. 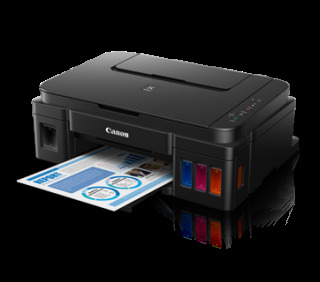 – Introducing and instruction to download Canon G2000 resetter to fix 5B00 error in the printer. Note: if you don’t know how to use the computer or you aren’t confident to do it yourself you can ask the help from people who know about computer clearly or simply you can call any engineer but it’s quite costly. Don’t worry too much, you can do it yourself with our simple guide for you. + The lighter: The printer will stop working, and the green lighter( power button ) and the orange lighter is blinking seven times. + The error message appears on computer screen: when you see the computer is blinking, this means your printer has 5B00 error. Let’s come to Maintenance then click “View Printer Status” and you can see the error message Support Code 5B00. – When you use Canon G2000 printer, after a printing process, the printer will automatically smooth with a view to printing smoothly and sharply in the later use. – During an automatic smoothing process, a lot of ink will overflow into the ink cartridge that also called Waste Ink Tank. This ink cartridge of Canon G2000 and Canon printer only contain a certain amount of ink that manufacturer set. You can measure the ink quantity based on the Waste Ink Counter, when the Waste ink Counter is full, the printer can print anymore. This helps printer ensures that the ink can’t overflow into the component system of the printer. From my experience, the sponge containing the waste ink usually send you the sign that the waste ink is full but it is not true. I think that the manufacture defined this situation can occur so they did that to prevent any disaster from coming. 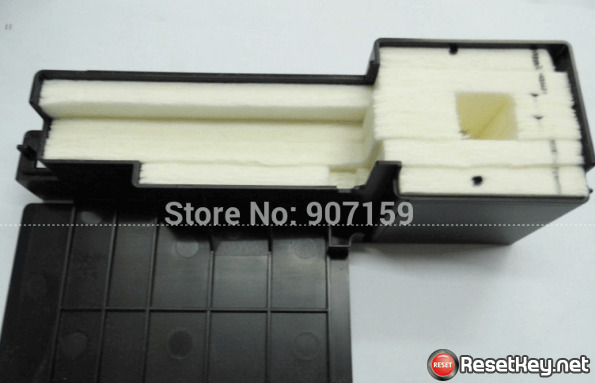 There are two ways to determine this case: buying a new one or you can reset the waste ink counter to come back to 0% to continue using by Canon G2000 resetter. Many officer and the people providing printing services must have a replacing solution is using other ink cartridge outside. However this solution is not effective because after amount of certain pages, the waste ink counter send you the sign that the ink cartridge is full then the printer stop running again. You must reset the Waste ink Counter and continuously use. It’s very time-consuming and affects your work very much. So we need a complete solution for this case. Keep patient and follow the guides below. In case your computer is within the warranty period: let’s bring it to the store you bought it or the nearest store of Canon to ask for repairing. They will help you replace the ink cartridge and reset the Waste ink Counter come back to 0%. If your Canon G2000 printer is out of the warranty period, it’s also too old and regularly has problem: it’s time for you throw it away ad buy a new one. If your printer still run well but it’s out of the warranty period: why don’t you reset the Waste ink counter and clean the ink cartridge so as not to affect the components. 1. 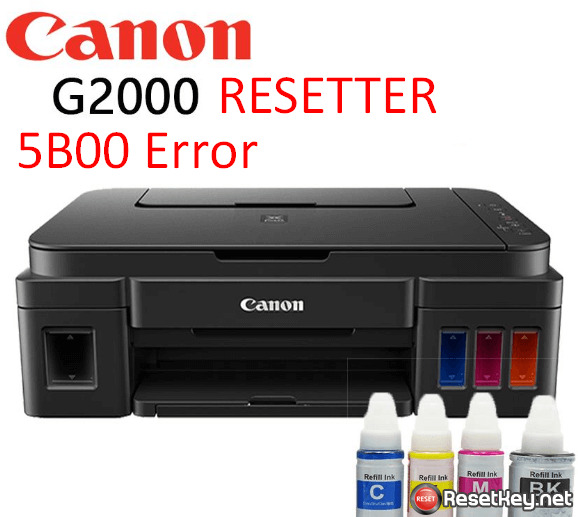 Introduce and give instruction to download Canon G2000 resetter to fix 5B00 error in the printer. 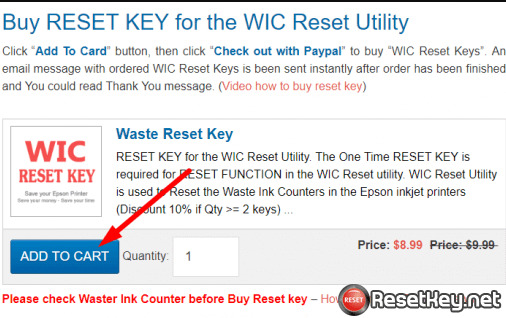 I posted a report on resetkey.net and give the instructions how to download WIC Reset Utility tool (or Canon G2000 resetter), you can download here: https://resetkey.net/download. What is Canon G2000 resetter? 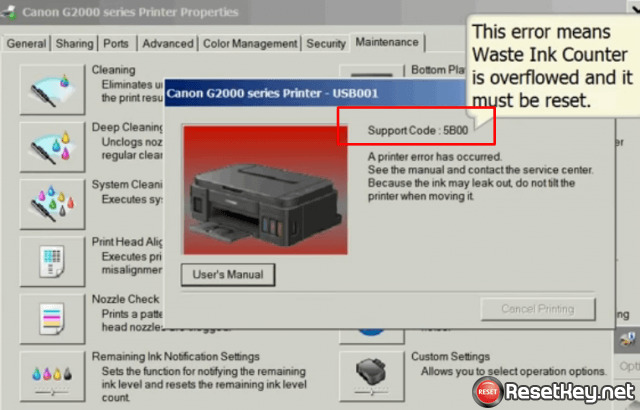 Canon G2000 resetter is another name of WIC Reset Utility Tool or you can call WICReset, which is software provided with a view to helping the user can use the Epson and Canon printer easily, they can reset the printer by themself when the printer stops working because of waste ink counter overflow. This software is quite effective and it allows you to download freely with a lot of function below. You need have a Paypal account having at least $9 there, or a visa card such as VISA, Master Card with at least $9 there. 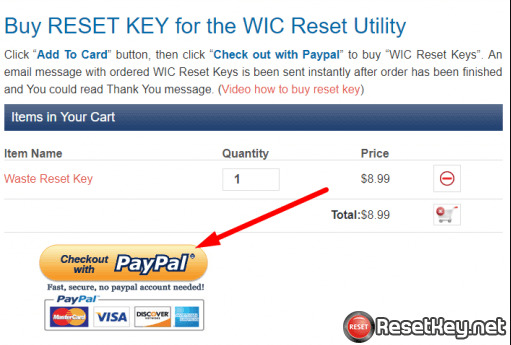 Step 1: come to the page that sell the WIC Reset Key code, I have bought many times here: https://resetkey.net/buy ,you can receive the code as soon as you pay. 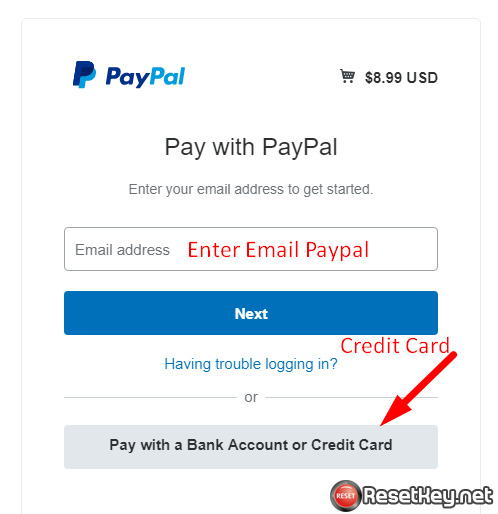 Step 3: Next, you click “Check out Paypal” to pay by the Paypal account or VISA or Master Card. + If you use the Paypal, please fill your email address then click Next => pay now, when you pay successfully, you will receive the code immediately. + If you pay by VISA or CREDIT Card, please click “Pay with a Bank account or credit card”, don’t forget to fill your email address because the WIC Reset Key will be sent to your email. Note: after your successful payment, in case you don’t receive the code, you should contact with the ResetKey.net to receive the code again. If successful process, you will receive Congratulations message appears. Now you should reset your printer and try printing. Good luck! – You only use special printing function when you essentially need. Please to watch out: each code can only use once, so after resetting Canon G2000 you can only print from 5000 to 10000 pages. So if you meet the 5B00 error you need to reset your printer again with a new code. I really hope that this post will help you to reset your printer easily and you can save yourself. Good luck and see you later!